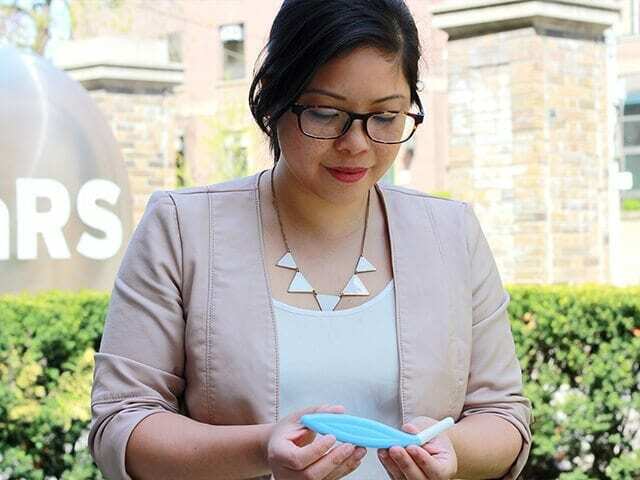 Jessica Ching attended OCAD University with the full intention of becoming an industrial designer and no real intention of becoming an entrepreneur—that is, until she had to do a thesis project in her fourth year. She was having a conversation with a group of women and the topic of cervical cancer came up. The general consensus was that the experience of getting tested for cervical cancer was uncomfortable and, as a result, many women do not get checked. Jessica decided that she wanted to find a solution to this problem. 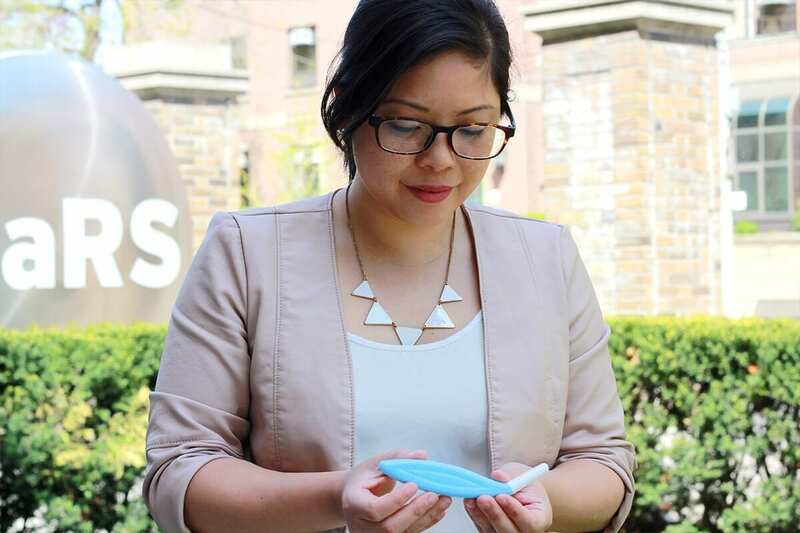 She turned what was at first her thesis into Eve Medical, a company specializing in creating medical devices specifically for women’s healthcare needs. That’s precisely what Eve Medical has done to the screening process for human papillomavirus (HPV) and sexually transmitted infections (STIs), infections that may lead to cervical cancer. With input from experts in the field, Jessica developed the prototype for Eve Medical’s first product, HerSwab. HerSwab enables women to collect samples in the comfort of their own home to screen for common STIs. Jessica hopes the device will be a stepping stone to encourage women to test for preventable infections. “If [the result] was positive then they could go follow up at a clinic, which would bring people back into the healthcare system,” she says. HerSwab was just the first step. Eve Medical recently launched an IndieGogo campaign for the prelaunch of Eve Kit, a home-testing kit that includes HerSwab as the collection device. The kit can be ordered online and is delivered to the user’s home. The user collects the sample, fills out a short questionnaire to specify what infections they want to test for and sends the kit back to Eve Medical. The company then sends the sample to a lab for processing and delivers the results back to the user. The results of the company’s clinical study at McMaster University proved how user-friendly the self-collection system is. The company surveyed almost 200 women who tried HerSwab. Over 90% of those surveyed reported that HerSwab was easy to use and approximately 80% said they preferred this collection method to the physician-collected method. Arriving at such positive results required a lot of testing and refining. As a startup in the healthcare sector, it was arguably harder for Eve Medical to mobilize than it is for startups in other spaces, says Jessica. “The upfront capital requirements are much higher and the development times are much longer,” she explains. For example, the Eve Medical team had to make changes to the design of the HerSwab device based on user feedback. Not to mention the fact that Jessica did not have a background in science, so there was a steep learning curve. Fortunately, the hard work paid off. Eve Medical was one of five finalists for the 2016 Quest Award, which challenged startups around the world to find solutions to end cervical cancer. The company won second place in the Life Science Nation Redefining Early Stage Investments Conference Innovation Challenge held in San Francisco in January 2016. In five years, Jessica hopes to see Eve Kits being used by women all over the world. Currently, Eve Medical offers HerSwab kits in 12 countries, including Slovenia, Italy, Mexico and Spain, and is doing pilots in six more. “I think about the time we’ve taken to develop our product until now and about how many women have not been doing anything in that time, and I feel that sense of urgency that we need to get this out there so that women can start using it,” says Jessica.